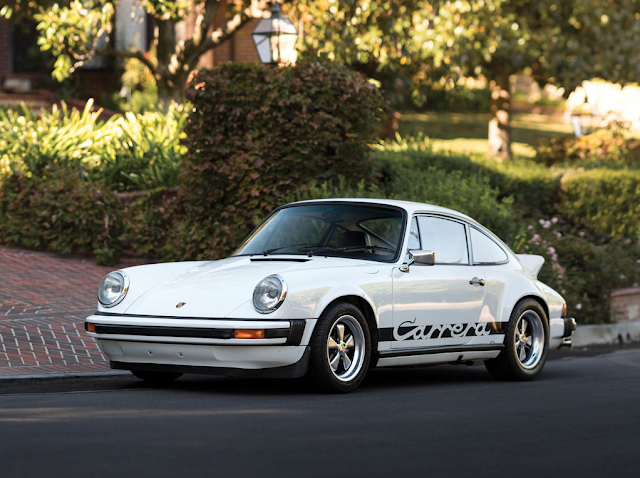 At RM Sotheby's Scottsdale auction on Friday, January 29th this Grand-Prix White 1974 Carrera 2.7 MFI is being sold. 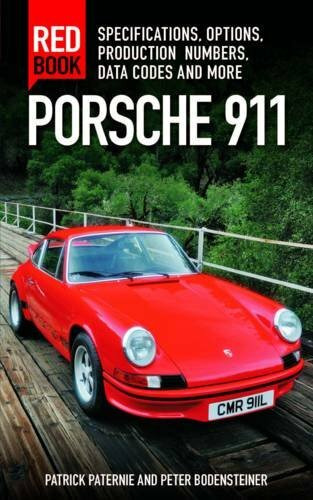 210 bhp, 2,681 cc SOHC air-cooled, horizontally opposed six-cylinder engine with Bosch mechanical fuel injection, five-speed manual transmission, independent front suspension with torsion bars, McPherson struts, and an anti-roll bar, independent rear suspension with torsion bars, trailing arms, tubular shock absorbers, and an anti-roll bar, and four-wheel disc brakes. 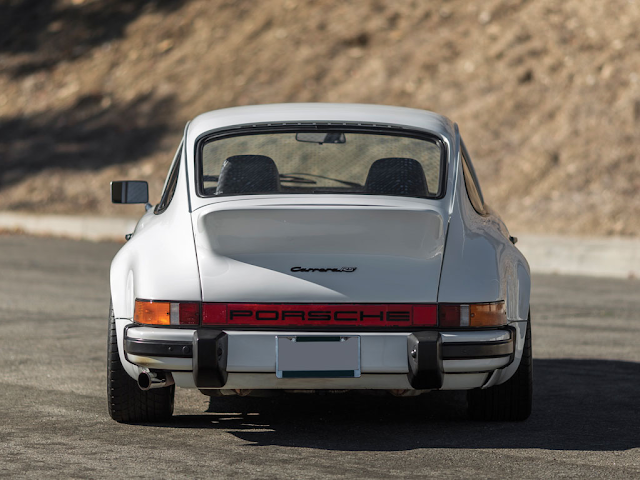 Wheelbase: 89.4 in. 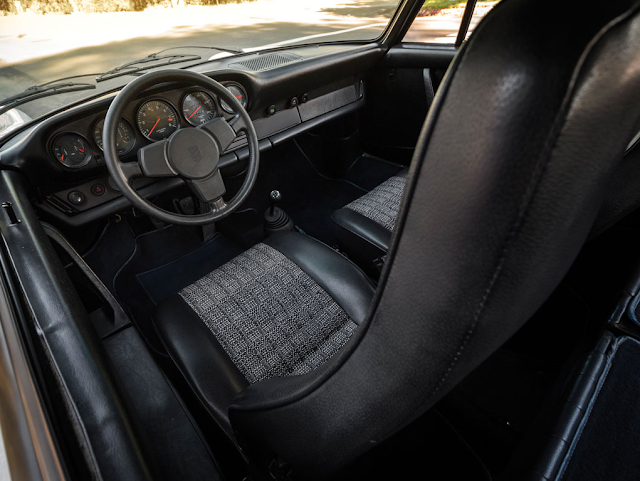 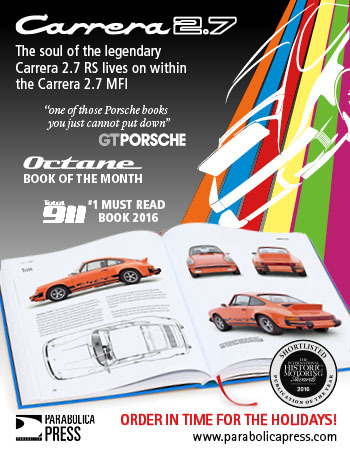 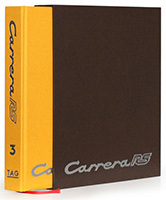 The surprisingly successful Carrera RS of 1973 so impressed the buying public that Porsche knew it had to continue the theme with its next series of production sports coupes, the G-Series of 1974–77, which incorporated a new and stronger chassis with crash-resistant bumpers to meet US requirements. 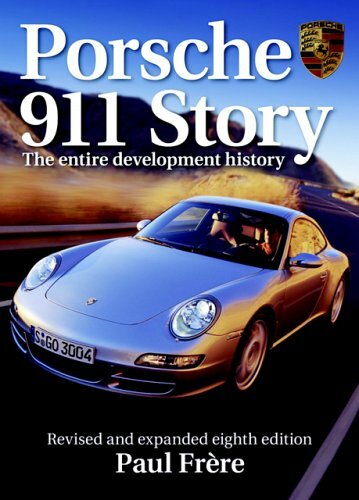 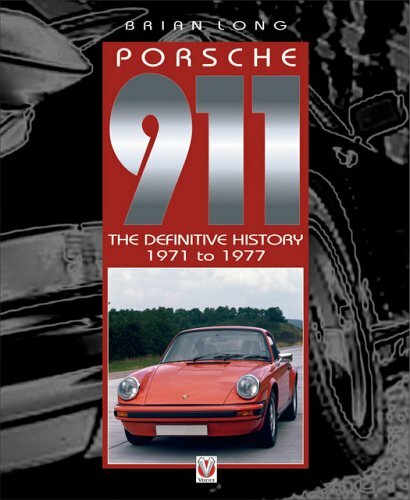 Economic realities meant that Porsche had to incorporate those physical changes into all its new 911s, so even ROW or “Rest of the World” models incorporated impact bumpers and reinforced door panels. 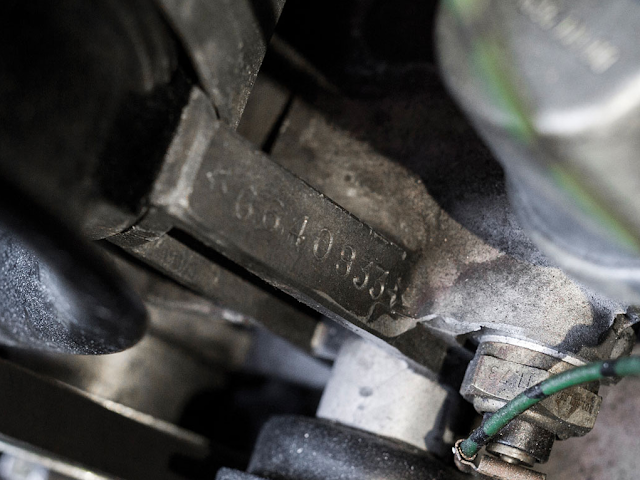 Europe and other non-US markets, however, did enjoy the advantage of retaining the brilliant 210–brake horsepower 2.7-liter engine of the ’73 RS. 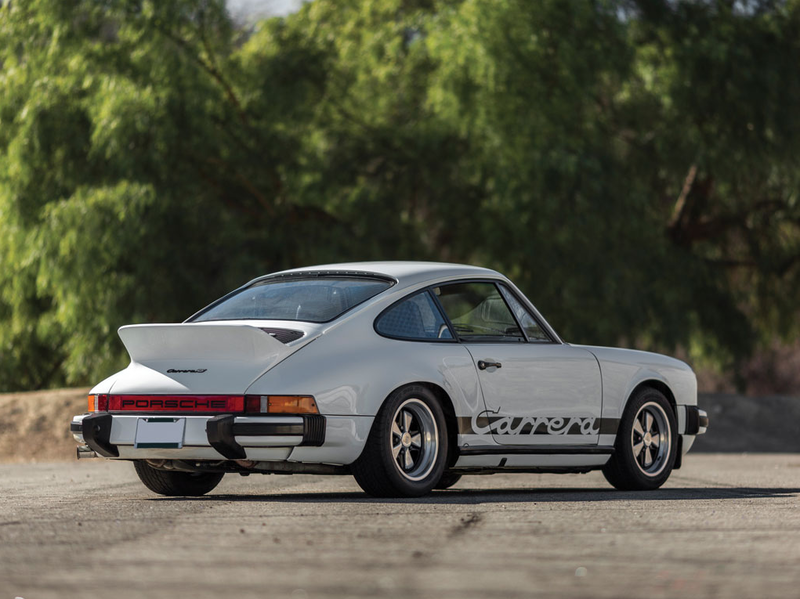 This beautiful Grand Prix White over black 1974 Euro-spec Carrera is one of those fortunate models that retains the same performance, feel, and driving enjoyment as the earlier RS. 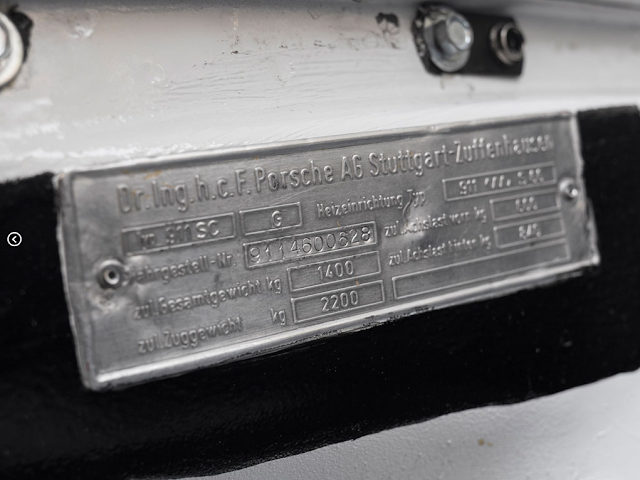 It was delivered from the factory to Nordrhein of Düsseldorf on November 21, 1973, and thence to its first owner. 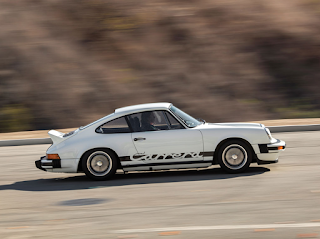 The Porsche Certificate of Authenticity confirms that this is a matching-numbers car that left the factory in Grand Prix White paint (R4) over blue-black leatherette with tweed fabric seat inserts (15). It was fitted with Koni shock absorbers and 911 S brakes with aluminum alloy calipers and optional 7J and 8J by 15-inch Fuchs forged alloy wheels mounted with Dunlop 195/70-15 and 215/60-15 tires, a package that neatly filled the flared front fenders and widened rear quarters. The consignor is familiar with the model and states that this is the best-driving example he has ever owned, and it has been used for over 2,000 kilometers of driving to such events as the Greystone Manor (2014), Palos Verdes (2014), and La Jolla (2015) Concours d’Elegance, where it was shown. 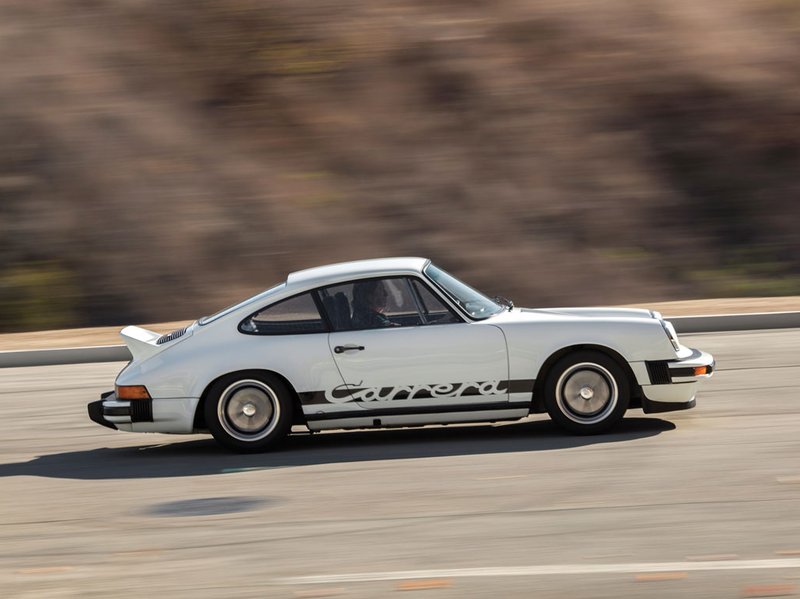 It is also a multiple PCA Class and Divisional winner, including Best in Class awards in 2014 and twice in 2015. 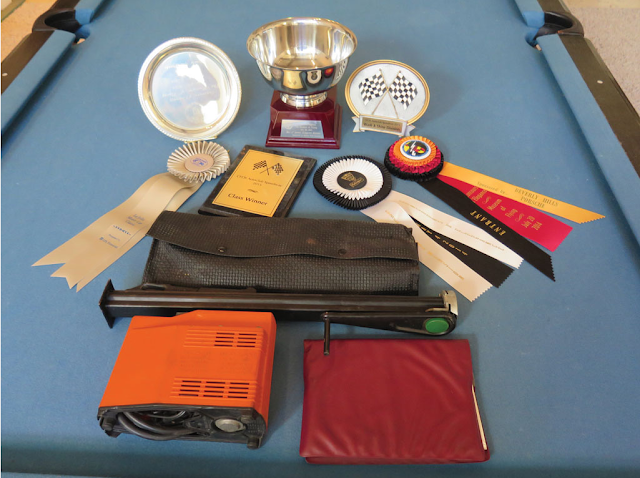 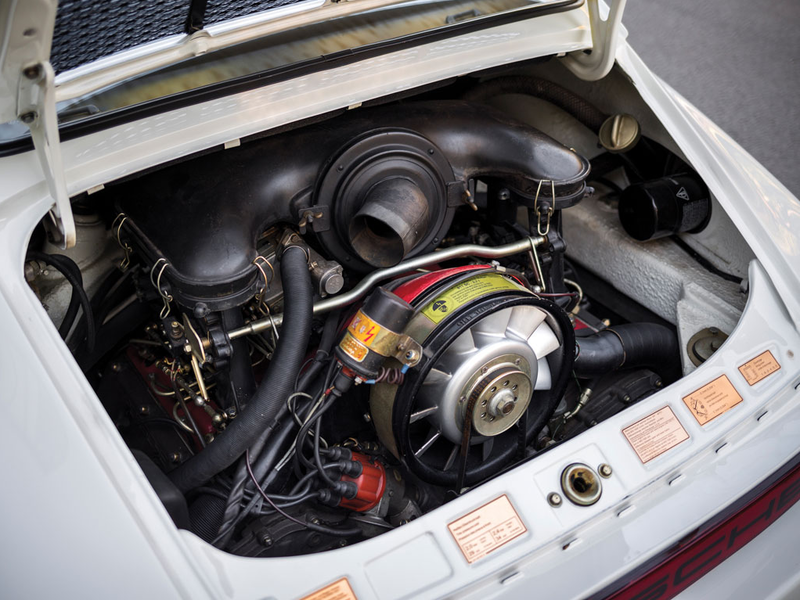 Offered with a collection of original documentation and authenticity confirmation from the Porsche factory, as well as a full tool kit, jack, spare, factory air compressor, and trophies, this is a handsome and wonderful Euro-specification 911 Carrera MFI. 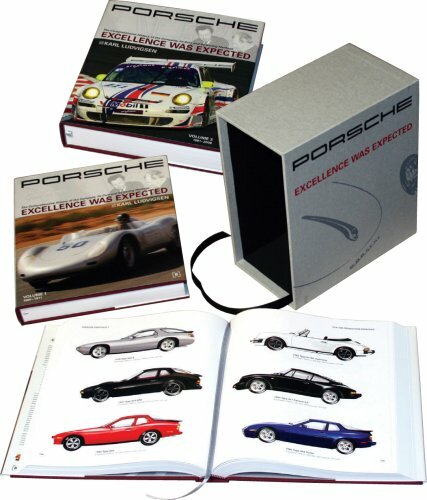 Auction house estimate $300,000–$375,000 (approx. 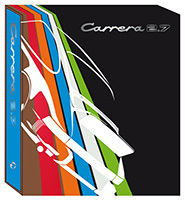 €276,000–€322,000).